In the 22-year history of MLS, there have been a number of players who have crossed the Atlantic and switched from England’s Premier League to play in Major League Soccer. Some have turned out to be good transfers, though some have turned out to be bad. Often, those arriving Stateside with the biggest names (and price-tags) have turned out to be the least successful plying their trade on American soil. He may have only just completed his first season in the league, but for what Wayne Rooney has achieved in his first year in Washington he deserves to make this list. 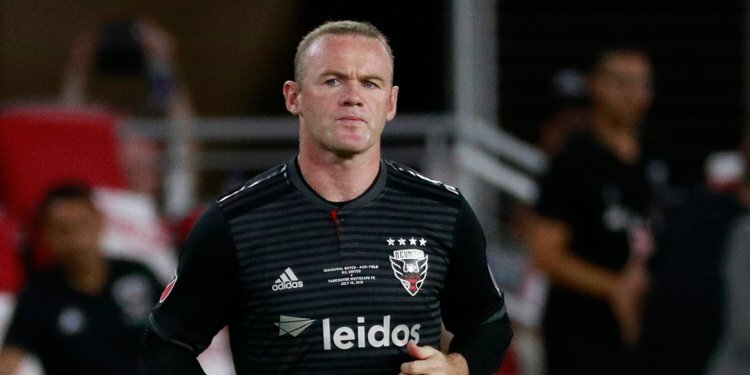 Rooney was DC United’s talisman in 2018, almost single-handedly turning the club’s fortunes around as the Black-and-Red went from bottom of the table last season to finishing 4th in the Eastern Conference and securing a playoff spot. In his first MLS season, the 33-year-old striker scored eighteen goals and made seven assists. Another 2018 newcomer, this man was in fact named 2018 MLS Newcomer of the Year. The only man that could pip Rooney to that award is of course, Zlatan Ibrahimovic. The towering Swede switched to the LA Galaxy from Manchester United this season and made everyone take notice on his debut – scoring an incredible long-range goal against LAFC before heading in the winning goal that completed a 4-3 victory after the Galaxy had been 3-0 down. Zlatan went on to score 22 goals and make 10 assists in a remarkable campaign. A controversial inclusion perhaps; but hear us out. In a short space of time for New York City FC, Frank Lampard made an invaluable contribution. In 29 total appearances in New York, Lampard scored 15 goals and added four assists as he guided NYCFC to their first MLS Cup Playoffs. Injuries curtailed his stay in the MLS, but Lampard’s performances in the league deserve praise and the English midfielder had a colossal impact on launching NYCFC as an MLS franchise. The veteran Colombian striker made an immediate impact after joining the New York Red Bulls from Aston Villa back in the summer of 2007, scoring an extra-time U.S. Open Cup goal on his debut. Angel would go on to score 19 league goals that season to earn a spot in 2007’s MLS Best XI, an incredible statistic given when he started the campaign. In total, during his New York Red Bulls career Angel would tally 62 goals in total across four seasons, but he would also go on to represent both the LA Galaxy and Chivas USA, where he spent a season each. He was never as prolific after leaving New York, but Angel did win his only MLS trophy while in California – lifting the MLS Cup with the Galaxy in 2011. With only several games remaining, New York Red Bulls are doing very well at the moment, sitting top of the MLS standings. They find themselves at odds of 11/4 to win the MLS Cup with new betting sites in America like Paddy Power. Atlanta United are second in the league, but are 6/4 favorites to win with MLS Cup the the same bookie, as both sides are still yet to play each other for the second time this season. The experienced Republic of Ireland international made the move from Tottenham to the LA Galaxy as a 31-year-old in 2011, joining the successful side that featured Angel, in addition to superstars David Beckham and Landon Donovan. Keane would go on to score 83 regular season goals for the Galaxy and another nine en route to winning three MLS Cup crowns. In addition to his team honours, Keane would also pick up four consecutive MLS Best XI spots and complete the MVP double (regular season and playoffs) in 2014.